I came across online store sheinside.com a fair while ago and fell in love with its quirky, cute items and their in-my-budget price tags. In search of a few work appropriate summer dresses yesterday I decided to put together my favourite items into an edit. 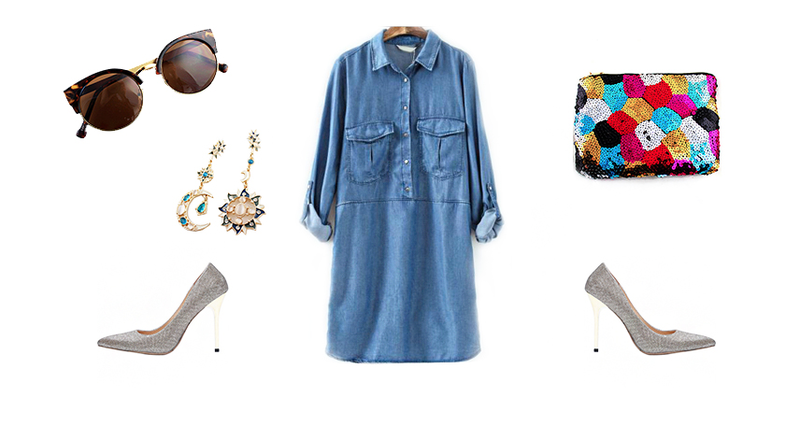 Hand me anything denim and I'll swoon. I don't know what it is, but I love that blue thread! A splash of colour and some killer heels & accessories (um, totally in love with these sun and moon earrings!!) and voila. My dream outfit. Have you recently purchased anything from sheinside.com?